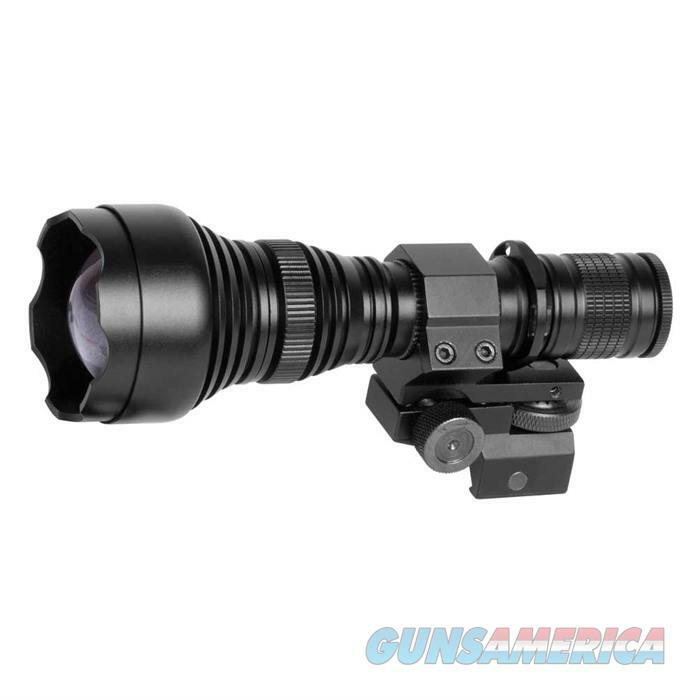 Description: Atn ACMUIR85PR IR850 Pro Long Range IR Illuminator ATN IR850 Pro an extremely powerful, long-range 850mW infrared illuminator for hunting, law enforcement, search & rescue and military use. With the new high-powered IR850 Pro infrared illuminator you can have 300 meters of effective range in total darkness. The IR850 Pro has a three-stage output ” Low, Medium and High. Low is 5% @ 20 hours, Medium is 30% @ 8 hours and High is 100% @ 1.6 hours.